Trinder Square is the latest addition to the Route 67 public art pieces. All around the central grassy area mosaic covered benches have been erected. The benches have been inspired by the exposed roots of the wild fig trees growing in the park and can be used to watch the locals play soccer in the park or kids playing on the newly installed play equipment. 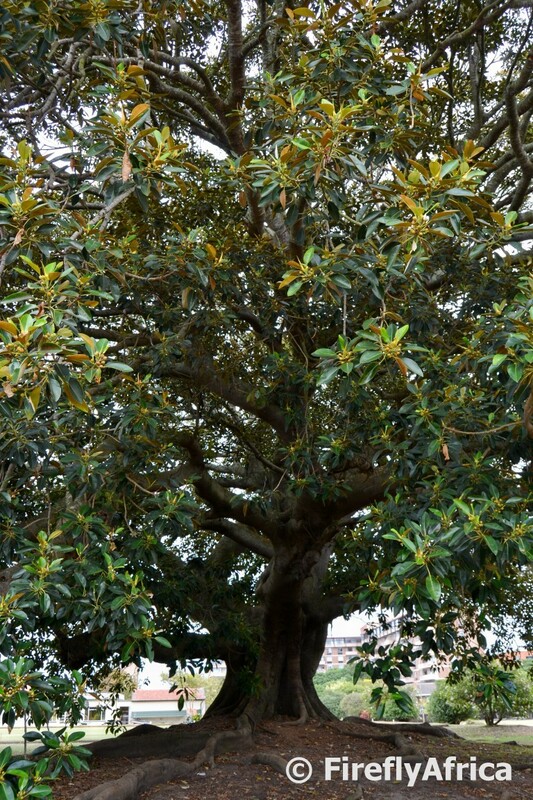 There is a number of Wild Fig trees in and around St Georges Park that is over a century old. This one stands between the PE Bowling Club and the Park Drive Bowling Club. 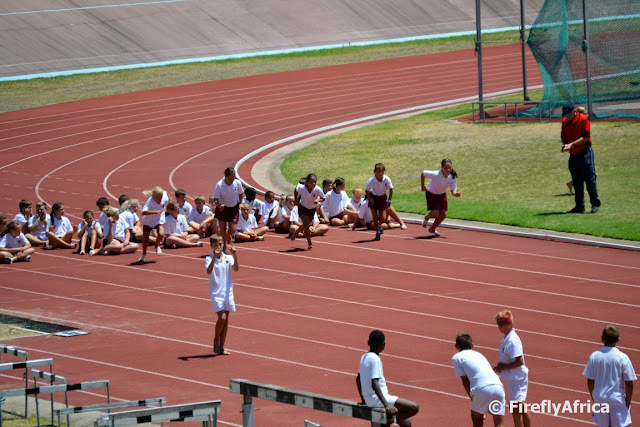 Armed Forces Day took place on 21 February in Port Elizabeth. The date isn't just one chosen out the air but rather was selected to commemorate the sinking of the SS Mendi. 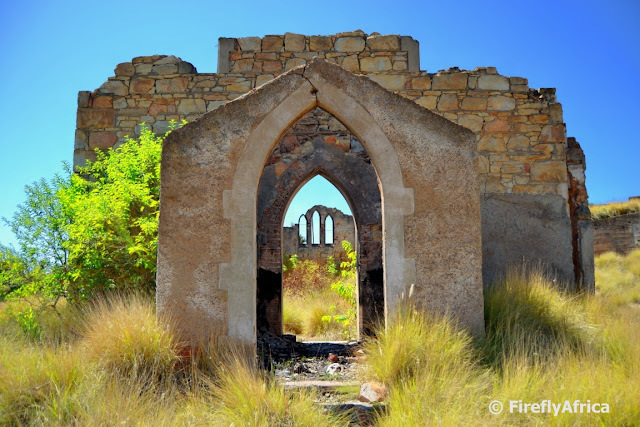 SS Mendi was a British 4,222 GRT passenger steamship that was built in 1905 . In 1916 during the First World War the UK Admiralty chartered her as a troopship. On 21 February 1917, a large cargo steamship, Darro, collided with her in the English Channel south of the Isle of Wight. Mendi sank killing 646 people, most of whom were black South African troops. 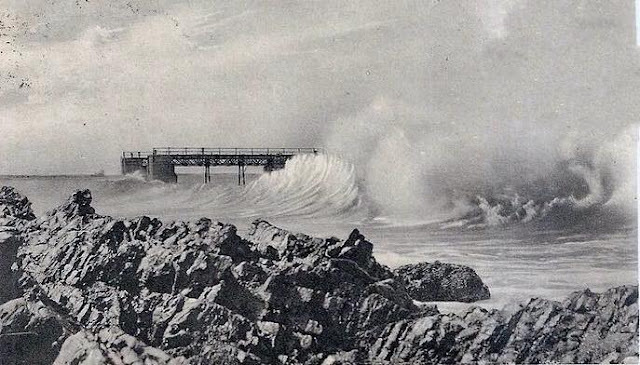 The sinking was a major loss of life for the South African military, and was one of the 20th century's worst maritime disasters in UK waters. The Mendi had sailed from Cape Town carrying 823 men of the 5th Battalion the South African Native Labour Corps to serve in France. She called at Lagos in Nigeria, where a naval gun was mounted on her stern. She next called at Plymouth and then headed up the English Channel toward Le Havre in northern France, escorted by the Acorn-class destroyer HMS Brisk. Mendi's complement was a mixture characteristic of many UK merchant ships at the time. Officers, stewards, cooks, signallers and gunners were British; firemen and other crew were West Africans, most of them from Sierra Leone. The South African Native Labour Corps men aboard her came from a range of social backgrounds, and from a number of different peoples spread over the South African provinces and neighbouring territories. 287 were from Transvaal, 139 from the Eastern Cape, 87 from Natal, 27 from Northern Cape, 26 from the Orange Free State, 26 from Basutoland, eight from Bechuanaland (Botswana), five from Western Cape, one from Rhodesia and one from South West Africa. Most had never seen the sea before this voyage, and very few could swim. The officers and NCOs were white South Africans. 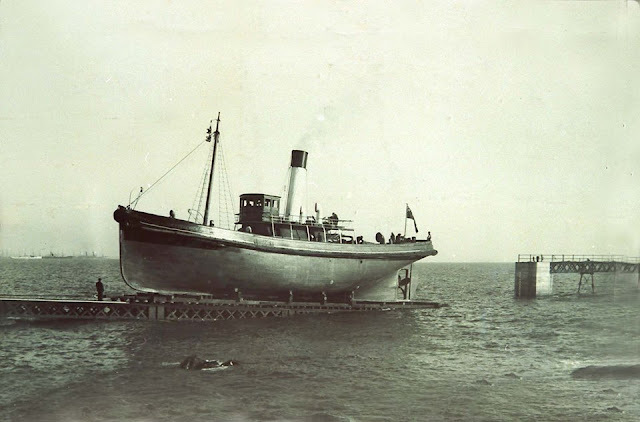 At 5 am on 21 February 1917, in thick fog about 10 nautical miles (19 km) south of St. Catherine's Point on the Isle of Wight, the Royal Mail Steam Packet Company cargo ship Darro accidentally rammed Mendi's starboard quarter, breaching her forward hold. Darro was an 11,484 GRT ship, much larger than Mendi, sailing in ballast to Argentina to load meat. Darro survived the collision but Mendi sank, killing 616 South Africans (607 of them black troops) and 30 crew. Some men were killed outright in the collision while others were trapped below decks. Many others gathered on Mendi's deck as she listed and sank. Oral history records that the men met their fate with great dignity. An interpreter, Isaac Williams Wauchope, who had previously served as a Minister in the Congregational Native Church of Fort Beaufort and Blinkwater, is reported to have calmed the panicked men by raising his arms aloft and crying out in a loud voice. The damaged Darro did not stay to assist. But Brisk lowered her boats, whose crews then rescued survivors. In yesterday's post I showed you the view of Settlers Park looking west from the parking area off How Avenue. 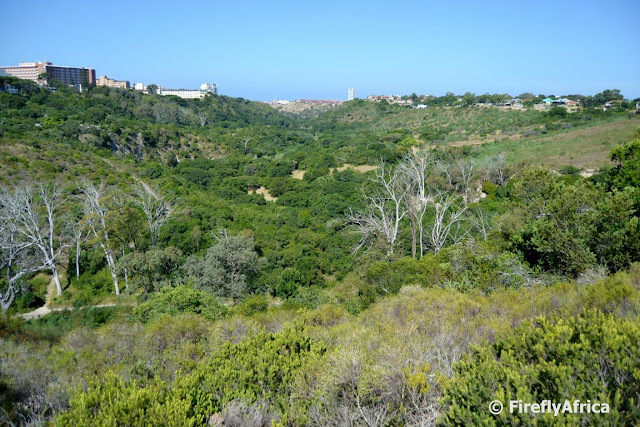 Today's post is the view looking east from the same spot showing the little dam in the park. I wonder how many people have asked me how to get to Settlers Park. They know where the park is, but not how to get to it. The best way is turn off Park Drive down How Avenue next to the St Georges Hospital. The entrance to the main parking is just a short distance down the road. This is the view from the parking area looking west. Settlers Park Primary School (previously called Walmer Primary) is visible on the other side of the valley and the Baakens River below. I stopped in Parsons Hill to do a Geocache last week and ended up spending time enjoying the view across North End towards Algoa Bay. Yes, I always have my camera with me so I can share the view with you. Other than perhaps looking out over the sea, the best chill spot around on a beautiful late summers afternoon must be on the deck overlooking the Boardwalk lake. 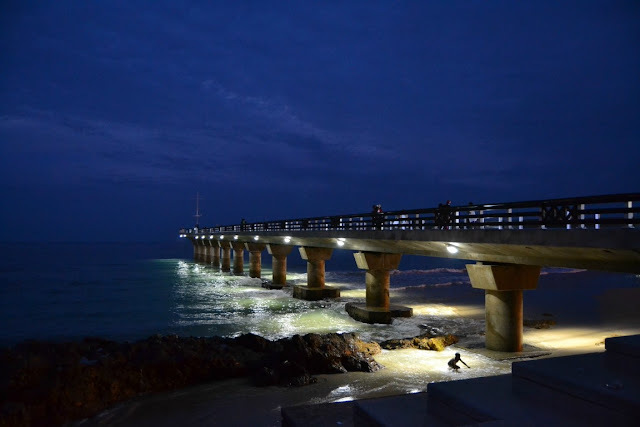 Since its revamp the pier is looking great at night, especially with the new brighter lighting. It's actually so bright that it is possible to swim at night, like the little boy is doing. It's not often that you get the opportunity to see game right in the city. 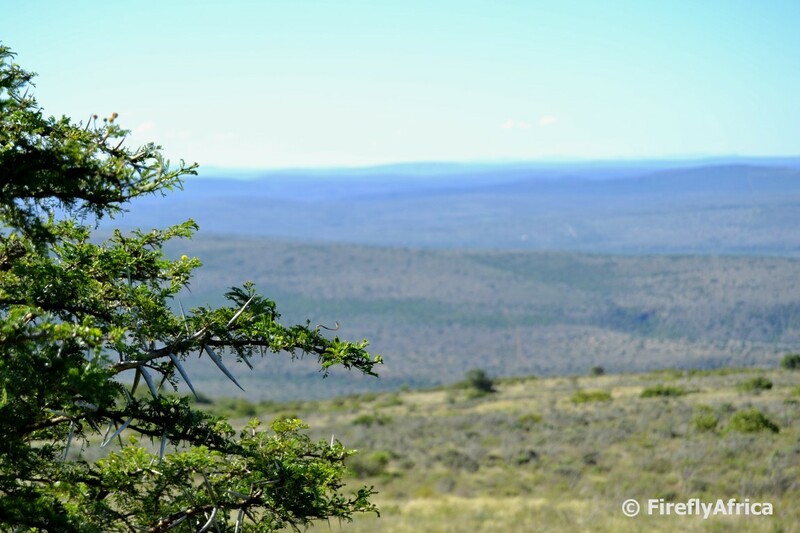 An early morning walk on the Grysbok Trail in the NMMU Nature Reserve gave us the opportunity to see zebra fairly close up and while on foot. This destination marketing video was produced in 2009 by Nelson Mandela Bay Tourism for the Chinese market and it combined both information about Port Elizabeth, the greater Nelson Mandela Bay and the rest of the Eastern Cape. Watching this just reminds one again what a beautiful area we live in. 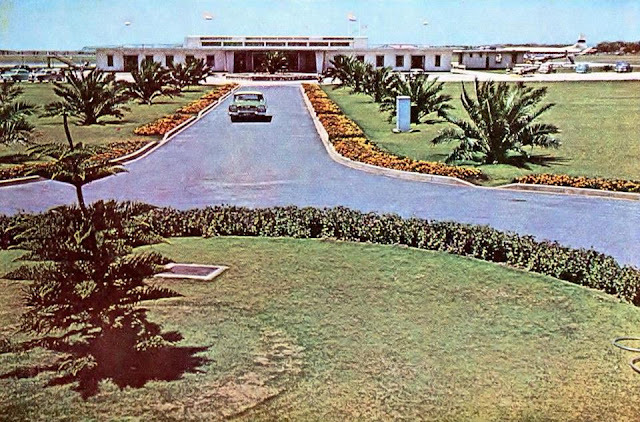 I've been collecting historic photos from the Port Elizabeth groups on Facebook to be able to do Then and Now posts and found the "Then" one in this post showing the Port Elizabeth Airport in what I guess was probable somewhere in the 60's. Perhaps the older folk around here can help me out on this one. The day after finding this photo I had to drop something off at the airport and snapped the "Now" picture. Clearly there's a lot more cars, and thus also people, at the airport these days than back then. 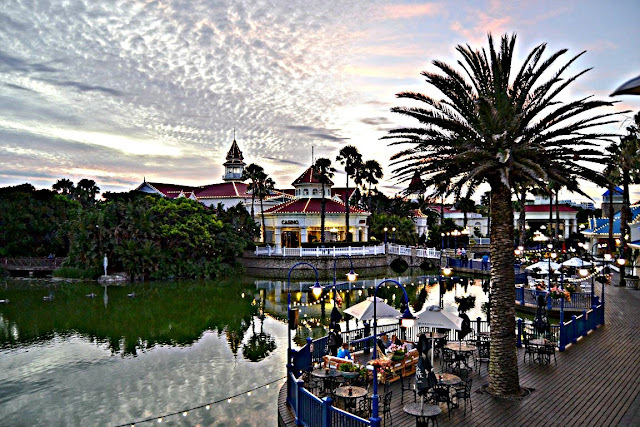 One of the historic highlights of Port Elizabeth was the first flight to Port Elizabeth from Cape Town made by Allister Miller in 1917. As there was no airport at the time yet, Miller landed on the fairway of the PE Golf Course. This was a huge occasion for the golf course was packed with people. 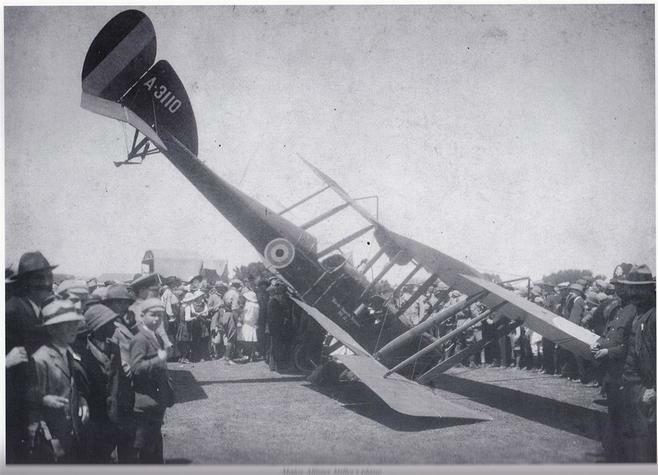 Having to avoid hitting any people, Miller had to crash his plane into a bunker to stop it. Luckily only the propeller got damaged, which can still be seen at the Golf Club today. 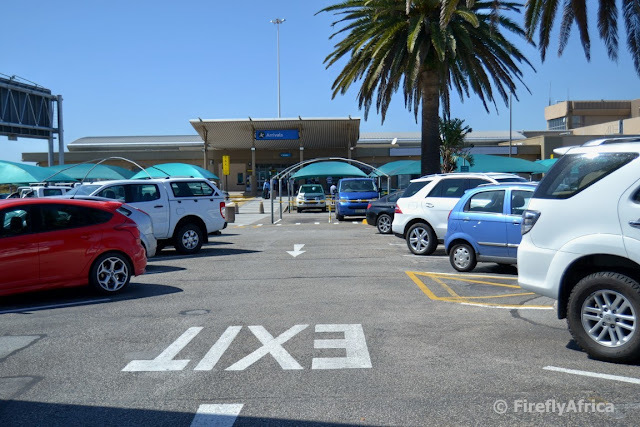 Miller himself founded the airport in 1929 when he started the Union Airways in Port Elizabeth after receiving a contract from the Union government to fly mail from Cape Town to the major cities at the time. Union Airways eventually became South African Airways. The airport was officially opened in 1936 with a single runway, one hangar and a concrete apron. During the Second World War the airfield was extended to accommodate 42 Air School for the Royal Air Force and 6 Squadron South African Air Force on the southern and eastern sides of the field. Construction of permanent terminal buildings, runways and an air traffic control building began in 1950 with operations moving to St Albans, some 25 km away, during construction. The new buildings were officially opened in 1955. Since then the apron and arrivals and departures building has several upgrades and extensions. The airport currently has two runways, one of 1,980 meters and the other is 1,677 meters. In the run-up to the 2010 FIFA World Cup there was talk of extending the runway to about 2000 meters to allows for international flights and although this wasn't done, the airport boasts with international airport status. 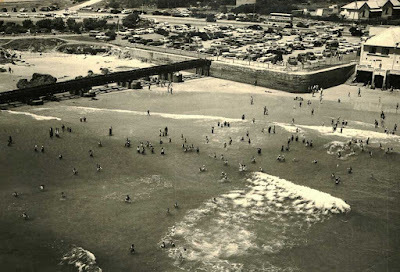 Last week I did a post Then and Now : Humewood Beach showing a couple of historic photos of Humewood beach along with a modern one. 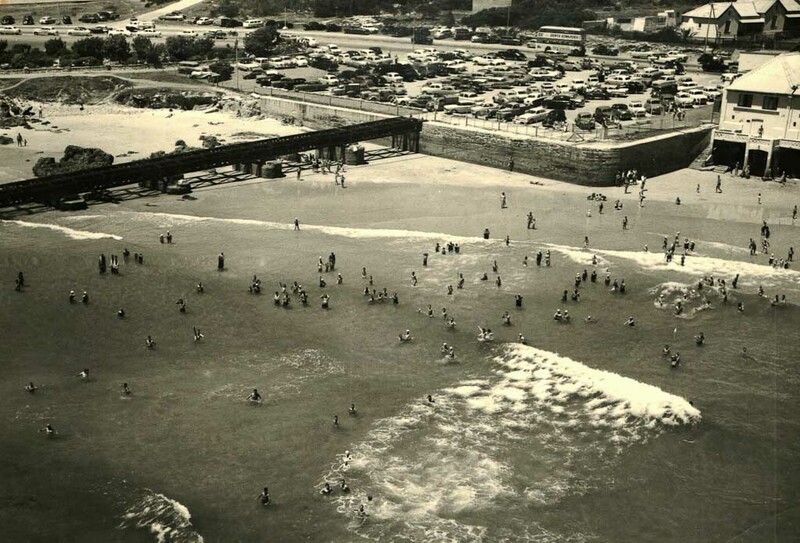 I purposely didn't post the two historic photos of the Humewood Slipway below as they were taken from a different direction and I decided to make a separate post for them. 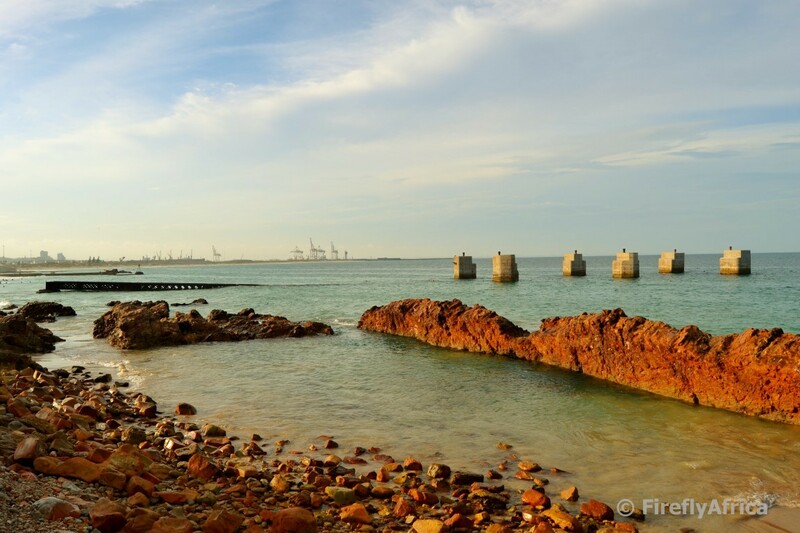 The pillars and old slipway you can still see at Humewood Beach was built long before Port Elizabeth had a harbour. Construction on the Harbour Board Slipway started in 1899 and it was opened in 1903. Ships would sail between the six pillars to be steadied before a cradle was lowered underneath the ship and the ship then pulled onto the slipway by steam-driven hauling gear for repairs. 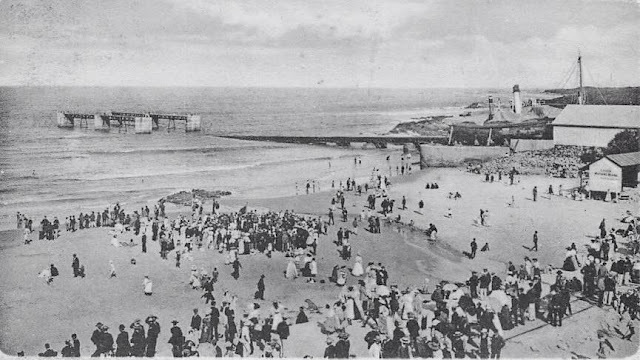 The slipway was used until 1939. The Humewood slipway and pillars as it stands today. A famous Port Elizabeth beachfront landmark although most people don't know what it used to be. Chaos Boy spent Saturday afternoon at a friend's place in Seaview and I headed out there late afternoon to fetch him. It wasn't quite sunset time yet, but the sun was starting to head towards the horizon so I pulled over to snap this pic. I'm still trying to figure out the best setting on my DSLR to take sunset pictures but hopefully I'll get there soon. Fort Frederick, built in 1799, was originally defended by two 8-pounder guns and one 5.5 inch Howitzer. 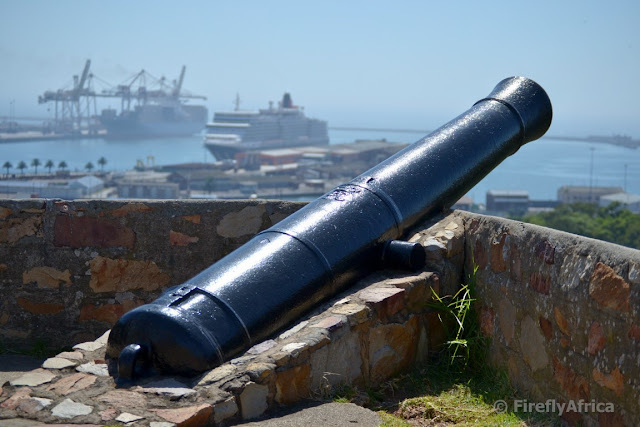 These guns, that never fired a shot in anger, was removed when the fort was decommissioned. But what is a fort, even a historic one that has been declared a national monument, without guns? So a selection of muzzle-loaders dating from the later part of the eighteenth century was placed on the fort to simbolise the original guns. When last have you been on a train? It's something most of us don't get to do and I really think it's leaving gap in our lives. And to think it's something our parents probably did quite often when they were young. Alan Straton of MyPE took the train from Uitenhage to Port Elizabeth and condensed the 45 minute trip in 3 minutes. I loved it when I saw it and just had to share. 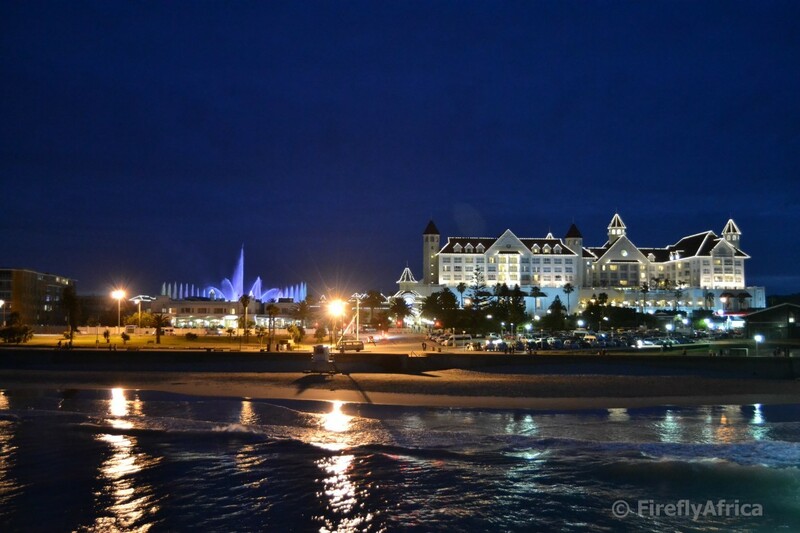 Humewood Beach is one of Port Elizabeth's flagship beaches and one that is popular with just about everybody. 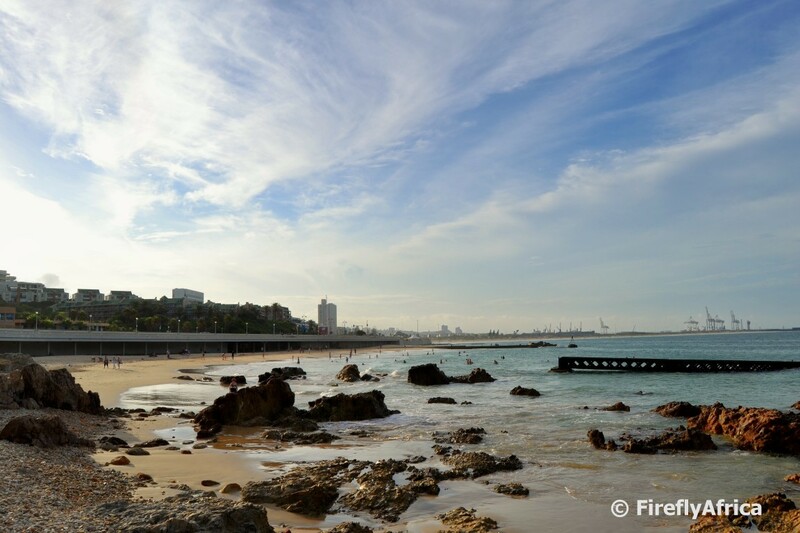 Being a Blue Flag Beach it has to adhere to international standards of safety and cleanliness and with the bridge overhead creating shade and nearby parking it's a great family beach. But where did Humewood get it's name from and has it always been popular beach? Humewood Beach obviously got it's name from the suburb of Humewood which in turn was named after William Hume. 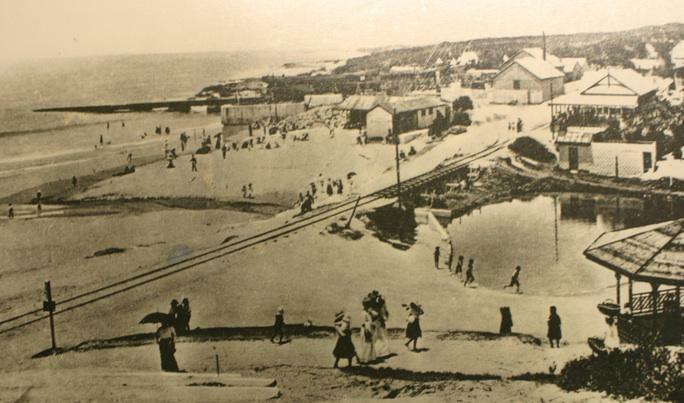 Hume was born in Grahamstown in 1837 and died in Port Elizabeth in 1916. He was a member of the Harbour Board and the Legislative Council in Port Elizabeth and obviously was a person of fairly high standing in the town back then otherwise the area would never have been named after him. Another interesting fact I picked up is that part of Humewood around the Shark River (Happy Valley) used to be a farm called Gomery. Now you also know where Gomery Avenue in Summerstrand got it's name from. 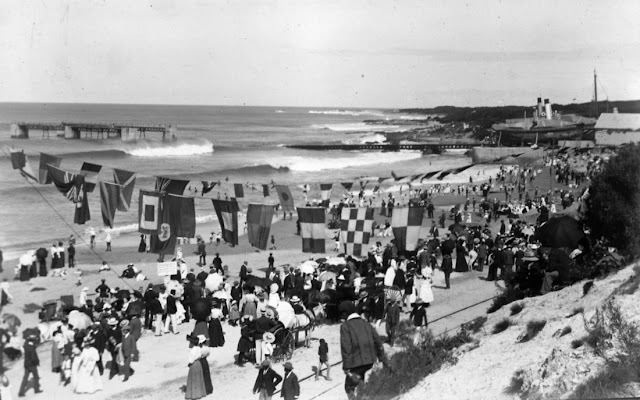 The popularity question you can judge for yourself by looking at the historic photos. I sadly don't know who to credit for the historic photos and have pulled most of them off albums on the Ex PE 60's,70's,80's and The Friendly City of Port Elizabeth Facebook pages as well as nicked off the awesome Millers Local website. 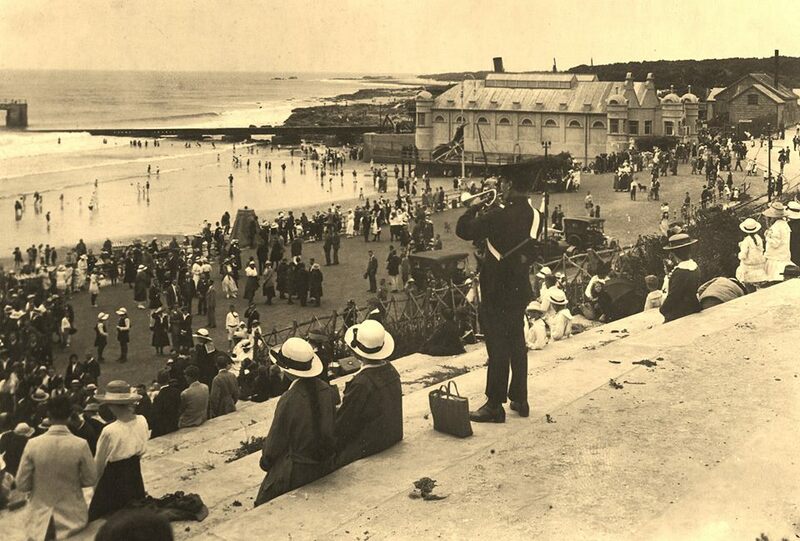 I got some of the info from Margaret Harradine's Port Elizabeth - a social chronical to the end of 1945. 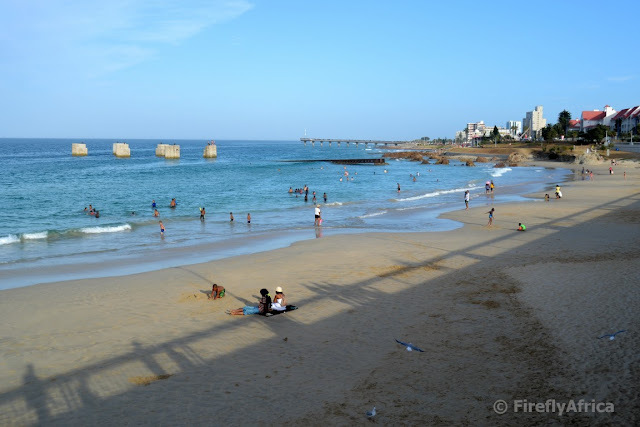 Humewood Beach is one of Port Elizabeth's premier beaches and is the oldest Blue Flag Beach in South Africa having received Blue Flag status from the first year of implementation. With the Walmer Township so close to the airport it's nothing strange to see cattle or goats grazing in the area around 3rd Avenue and Allister Miller Drive. Normally, in between people complaining about it, there are jokes about the garden services at work. 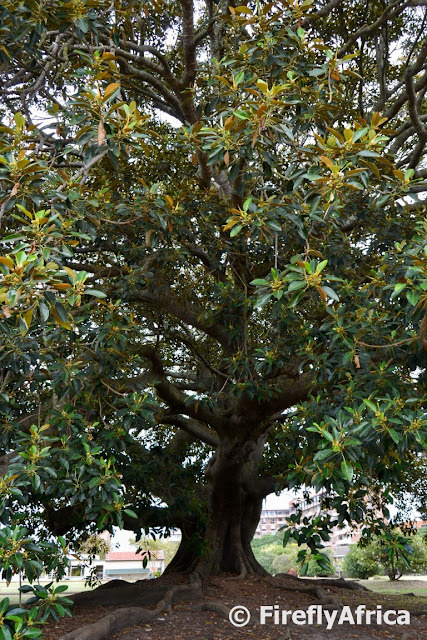 Natural garden services that is often more effective than the municipality when it comes to maintaining some open spaces. 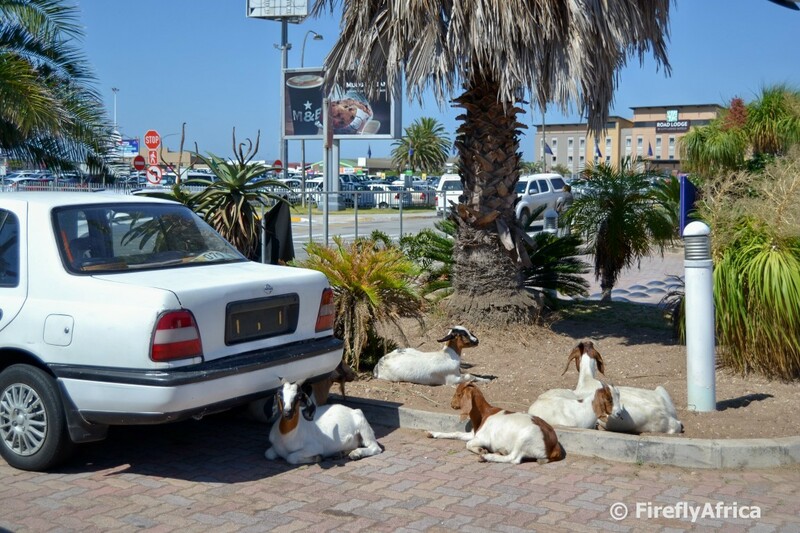 Last week I had to drop something off at the airport and found the goats taking a break from their verge maintenance duties. The other afternoon I went for a stroll along the paths in Wellington Park. Wellington Park is a section of Settlers Park up on the hill on the Walmer side. 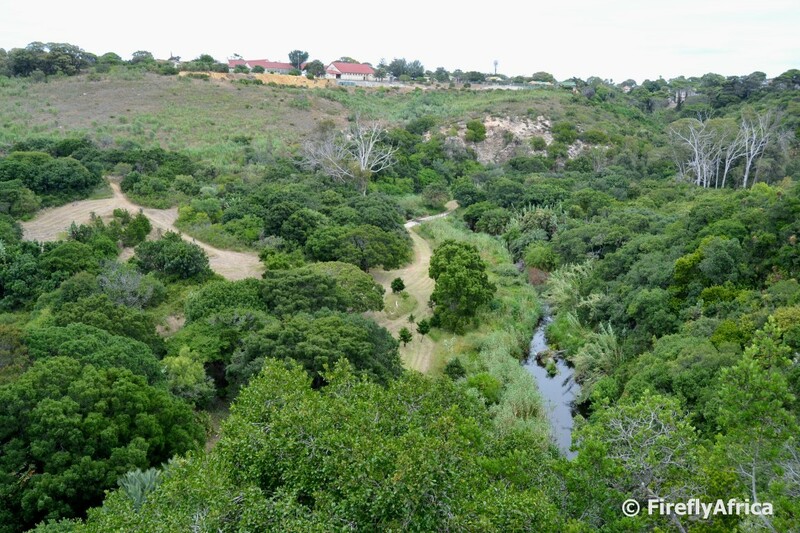 Parking is just off 5th Avenue, Walmer from where a circular path takes you around through vegetation made up mostly of Fynbos species. This section is safe with many Walmer residents taking later afternoon walks along the paths with loved ones or their dogs. The paths give excellent views up and down the Baakens Valley with this one looking down the valley. 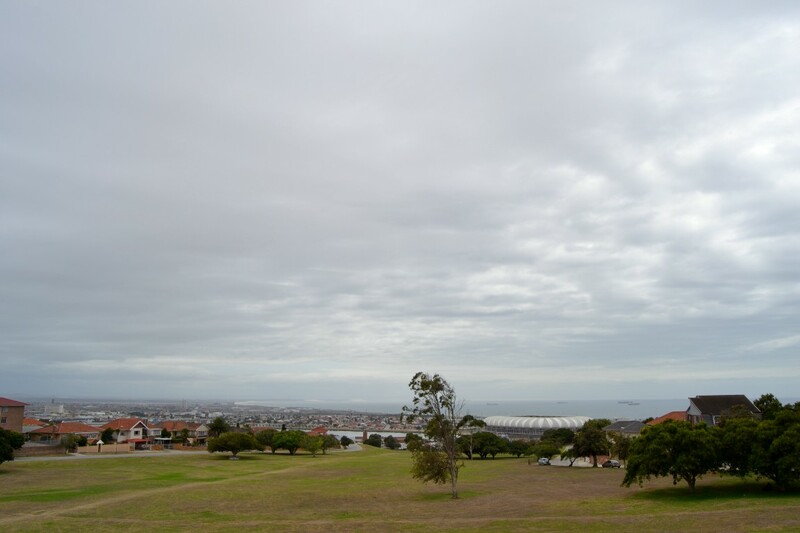 Settlers Park is in the middle, Walmer on the right and the apartments off Ring Road near St Georges on the left. 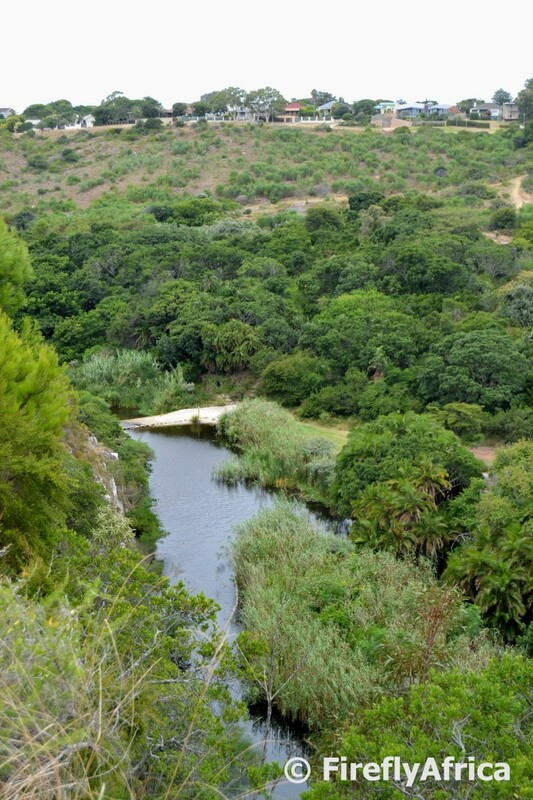 The Knysna apartment building in South End is visible at the bottom of the valley. 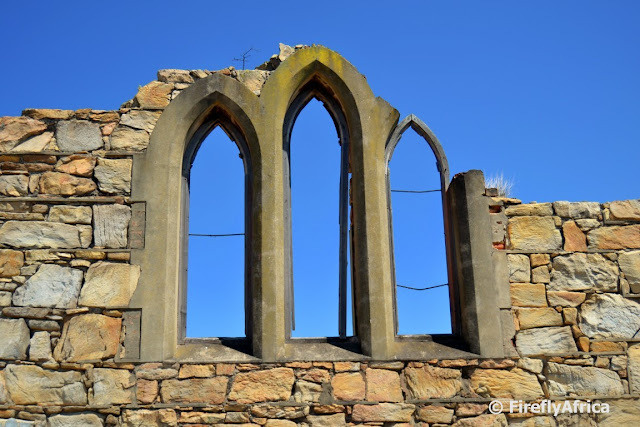 Just imagine what these windows of the St Peter's church ruins would have looked like with stained glass windows in a beautiful historic church compared to this. 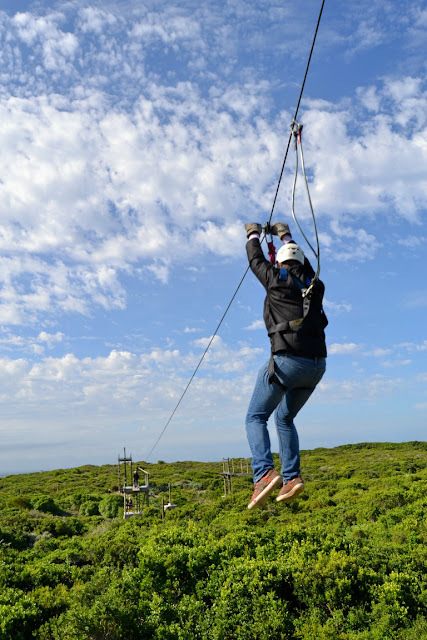 Port Elizabeth offers so many water sport and activity opportunities. 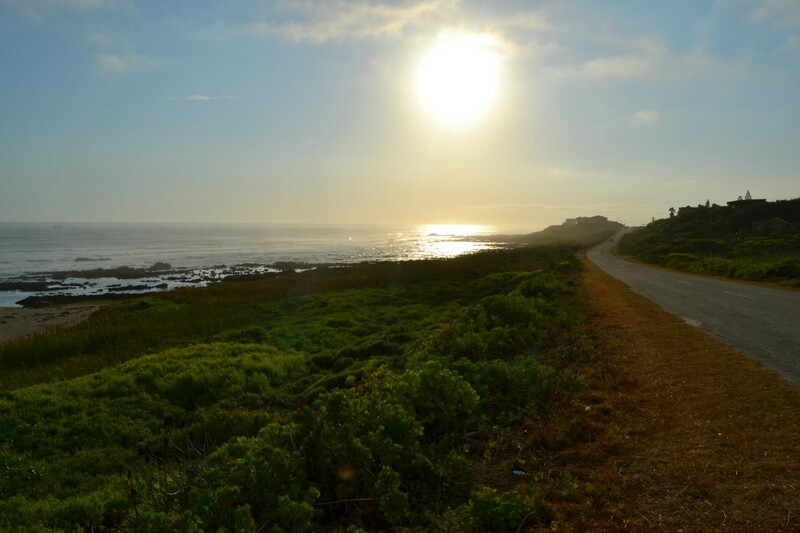 We really are super fortunate to live on Algoa Bay with everything it offers. Check out this YouTube video of MyLifeInTransit and his dad going paddling along the Port Elizabeth beachfront. Along the way they came across a pod of dolphins which can only be described as a magical experience. Perhaps in South Africa we need to take this to heart more often. In this case I mean for each other, our friends and families for strangers for our animals, for our environment, for our country. But that isn't what the post is about. 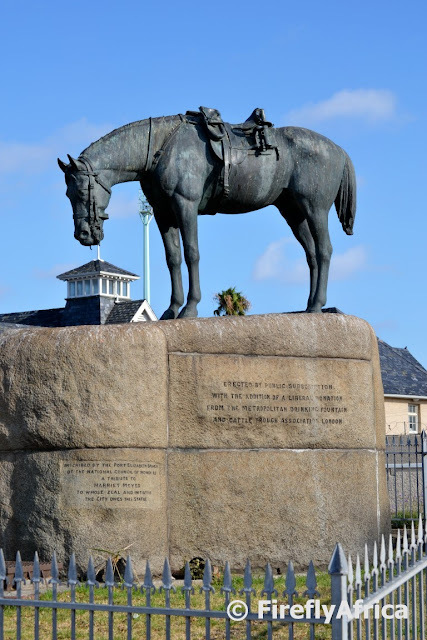 In April 2015 the Economic Freedom Fighters, Julius Malema's EFF, decided to vandalise the memorial because of their perceived perverted idea that it celebrates something linked to the Apartheid era and pushed the soldier giving the horse water over. The monument wasn't about the soldier but about him showing the animal compassion. Compassion these hooligans didn't show the memory of these horses. 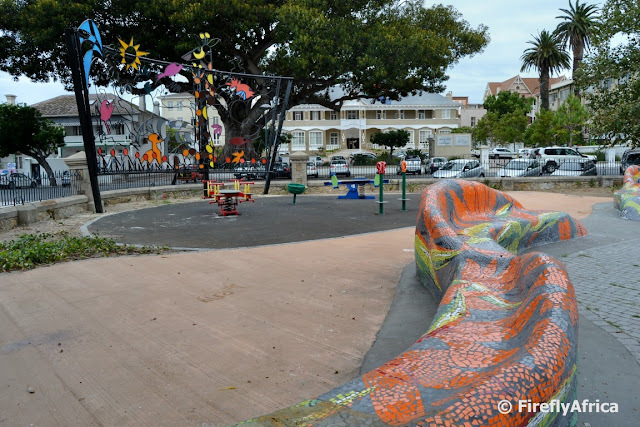 The Nelson Mandela Bay Municipality promised that the memorial will be repaired and the soldier returned to its place. Ten months down the line and it still hasn't happened. I stopped at the memorial this week and felt sad. Sad for the fact that the horse looks so lonely with nobody showing him compassion. Sad that this unfortunately is also the state that our country seems to find itself in. Sad that promises made to return the soldier seems to be just that. Promises. Something we are used to in South Africa and something we are going to see a lot more of over the next few months as the local elections approach. 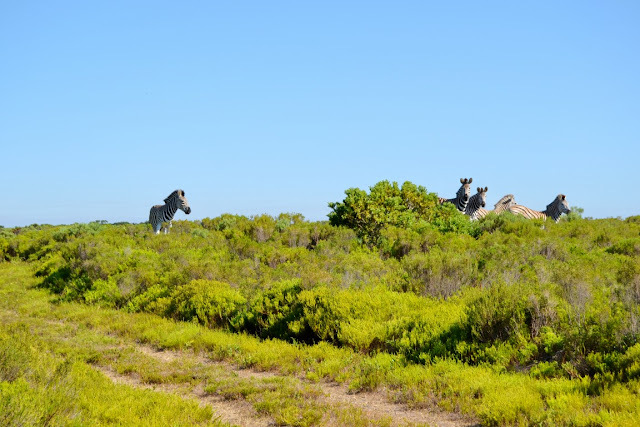 Referring to signs that has been appearing over the beachfront lately aimed at the major and pointing to the lack of service delivery I want to say, "Hey Danny, fix the horse and bring back the soldier." Why do I feel so passionate about it? 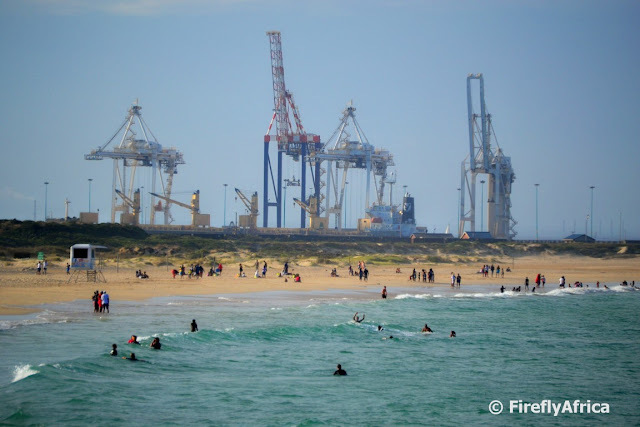 Not just because of what the memorial stands for but also the fact that it is one of Port Elizabeth's most famous historical memorials. One that thousands of visitors to the city pass while on their tour of the city. One that gets photographed by these tourists. One that in the past have been used extensively to promote the city and its historical and cultural diversity and now is everything but that. 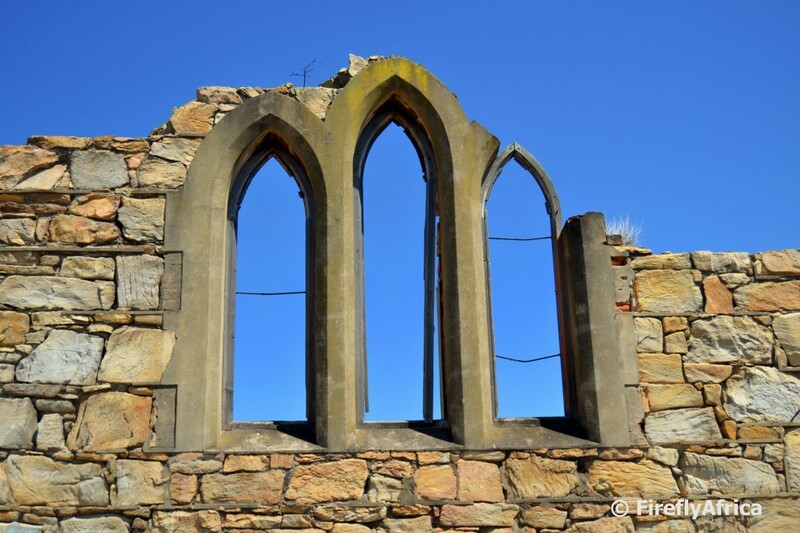 One that now tells a sad tale and is effecting the city's tourism image. I really hope the soldier will make his way back to the horse some time soon and that more unfulfilled promises isn't just made in this regard. 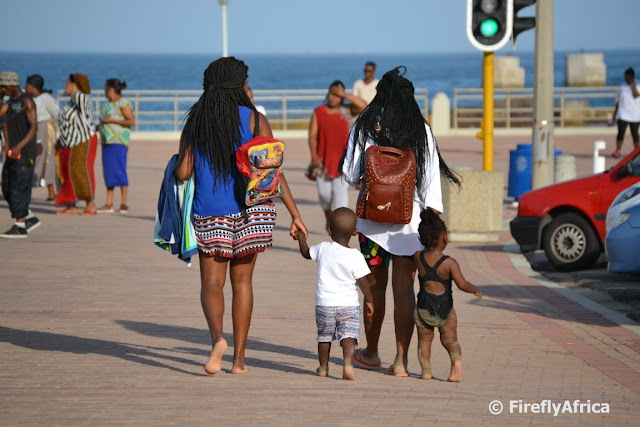 We went for a late afternoon walk on the beachfront last Saturday and at one stage walked behind these two ladies with their kids heading home after a day at the beach. I'm not big on people photography but I love this pic. Perhaps I should try more of it. 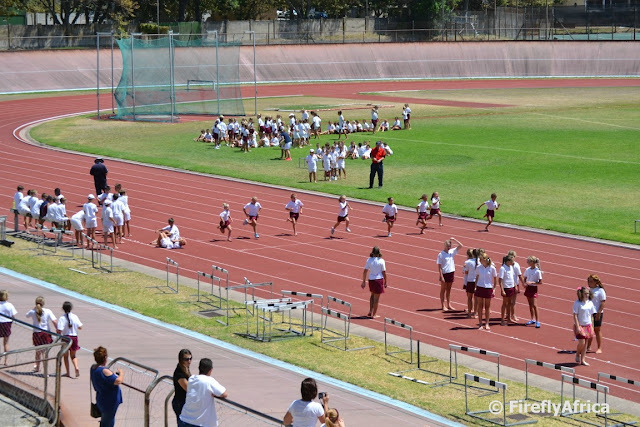 It is summer and schools have started so it means that it is athletics time. 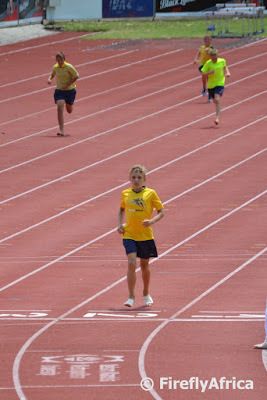 Over the last week and a half I attended both KidZ' inter house athletics meets. First it was Chaos Boy who is in DF Malherbe High School and had their inter house day at the NMMU track. A week later Drama Princess, who is at Newton Park Primary School, had theirs at the Oval in Richmond Hill. A day like this brings back lots of memories as I loved doing athletics as well. 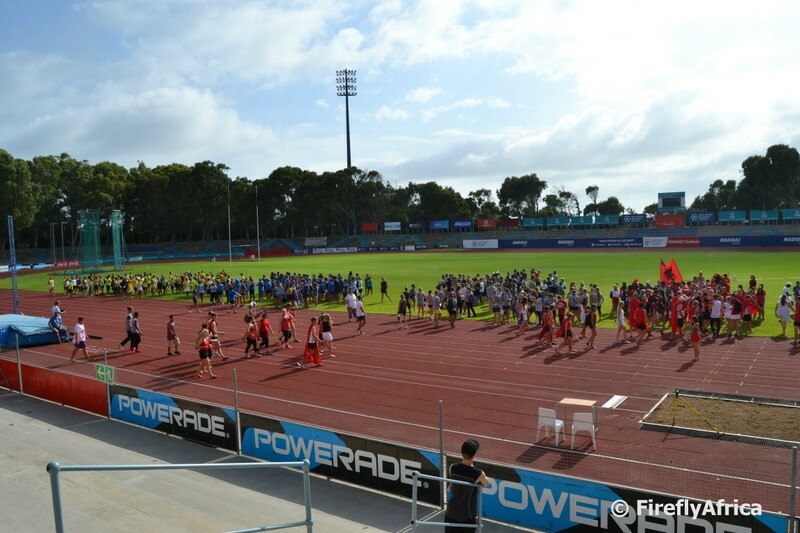 The smell of the tartan track, the noise (I'm probably getting old) of the different houses trying to outdo each other on the stands, the sound of the starter's gun, the bell for the last lap, the cheering when the athletes come down the final stretch, plasters being wrapped around feet, the smell of Deep Heat. Ahhh, the good old days of being young and fit. 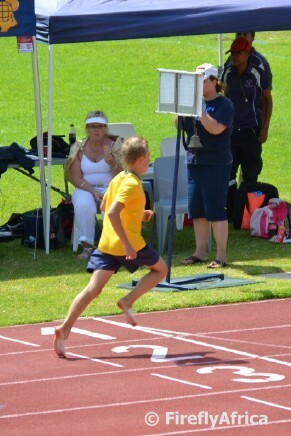 Up to last year Chaos Boy had no interest in sport but he now seems to really enjoy athletics. He took part in all the track numbers running 100m, 200m, 400m, 800m and the 1500m. 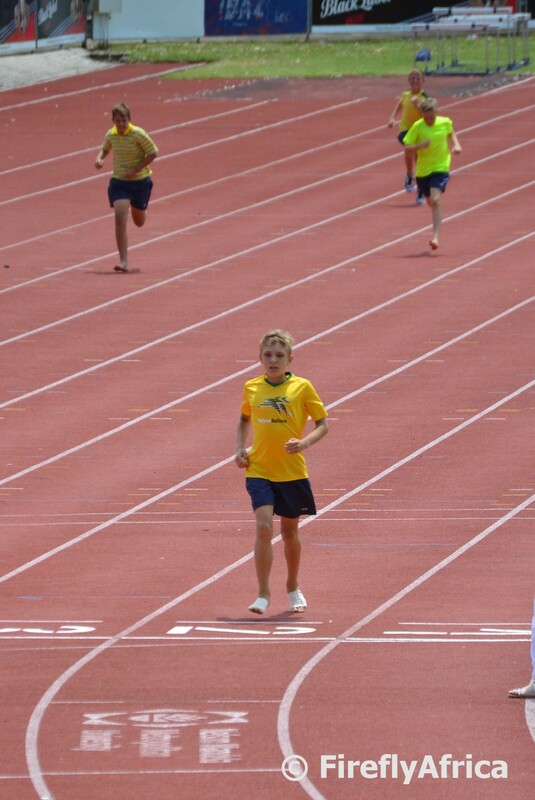 He's first place in the 200m was a HUGE surprise for all of us. Most of all himself. 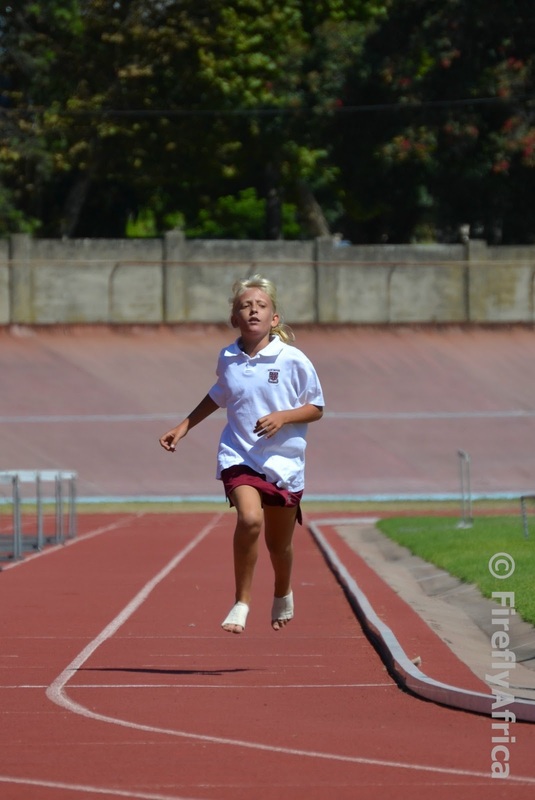 She may not be a sprinter but it didn't stop her from participation in the two short sprints (as she's still u/11) and hurdles. 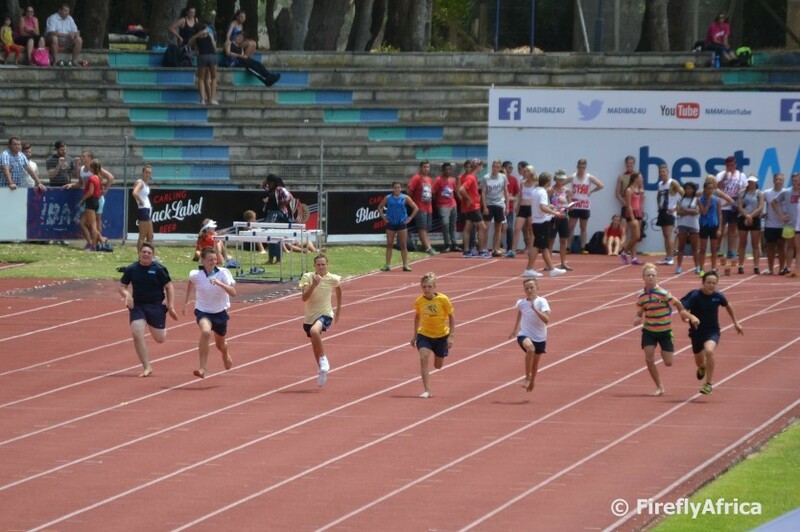 Jip, she's the blondie in the left hand lane.